Play a cult classic battle royale game. Fortnite is the most well known and played game of all time! Millions of fans of this epic production cannot be wrong! Join them and be the last one standing. Play Fortnite now on Vortex! What is Fortnite Battle Royale online game? Fortnite Battle Royale is a free to play online game that will let you cooperate with other players. Fight for survival as a single player or join the team and battle together with up to for faithful comrades. Be the last player or team standing in this warzone and win the game. In the battle, you will play against up to 100 other players. Staying alive and winning will not be easy. You will have to show fighting and tactical skill and kill other players. You can also try to evade them, but the safe zone will be shrinking constantly. The longer gameplay lasts the harder it will be to avoid fighting! 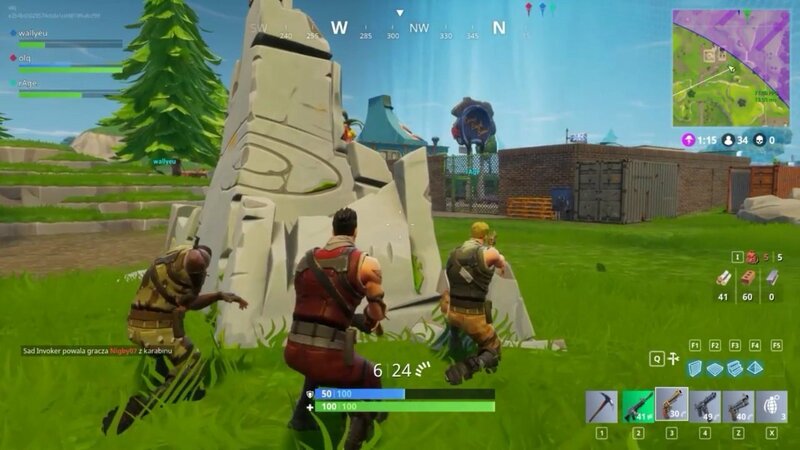 The first place you visit on a Fortnite map is Spawn Island. This is the place where your character is spawned. You will find there many things that could be useful in the game such as weapons and aid kits. All those things are just waiting for you to grab them. Feel free to experiment with all equipment, but remember - you will not be able to take them with you to the actual game! 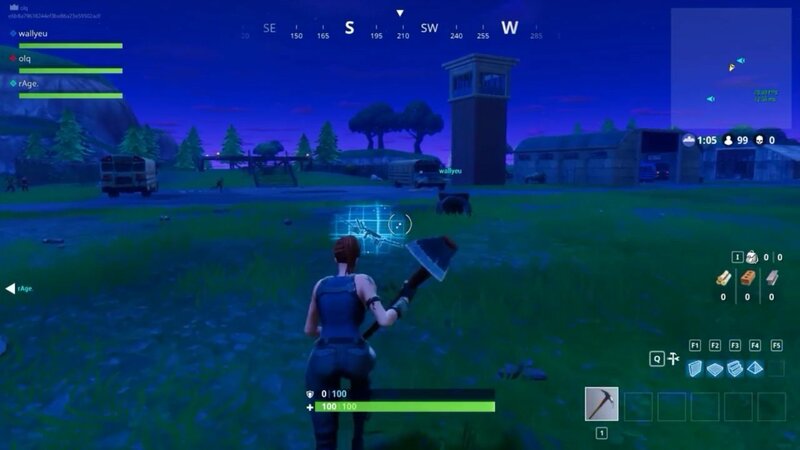 Spawn Island is a place when you can learn how to play the game but it is not part of the main gameplay. When you start a match all the things you grabbed during your stay in Spawn Island will be gone. Now it’s time to get to the real battle in Fortnite! When you are ready to take part in a real battle you will have to travel there in a Battle Bus. It drops you on the map. When it’s time for a drop the horn of the bus will honk. That is the signal you can jump out of the bus and start the fun. But be the patient one and resist the urge to join all the players rushing in to start playing. Play it more strategic. Wait till there are about 3 seconds till the Battle Bus reaches the end of its path. That is a good part to drop! There will be almost no players to compete with at the beginning so your chances of surviving will be higher. There will also be fewer people competing for loot so you will be able to grab more equipment. To increase your chance of winning you have to scavage for weapons and other supplies such as armor and first aid kits. You can also construct things! The game creators added an additional feature that allows you to break down most objects to get resources. They can later be used to build fortifications. That can be a good part of your strategy! When it comes to loot that can be found on the map, remember to look for small and large blue bottles. They will give you 25 or 50 shield! If you don’t know what weapon to choose from stick to assault rifles and SMGs. They are better in close combat than sniper weapons so you can use them in more situations. Sniper weapon may come in but it should not be your first choice. When you are playing Fortnite, use your headphones. You will be able to hear your opponent more clearly, The sound of footsteps or bullets being fired at you will help you seek cover and fight back. Remember that you will lose your health points not only while fighting other players. If you fall from substantial high you will also be deprived of health. Remember that falling off the cliffs is not advised! When you are fighting many opponents we recommend you to look for the highest possible place. Your position matters and will give you many advantages. You may even consider building a sniping platform. Killing off your opponents one by one from the higher place sounds like fun. What is the main goal in Fortnite Battle Royale? The main purpose of the game is to be the last player left standing. But if you feel a little bit bored with this premise, check out modes that will bring you the more unconventional type of gameplay. You can play solo or play a match with a friend on Fortnite. Is Fortnite free to play on PC? Fortnite Battle Royale is the FREE game available on PC, PlayStation 4, Xbox One, Nintendo Switch, Android, iOS & Mac. Using Vortex you can also play Fortnite online on your smart tv and on mobile. How long are Fortnite servers down for? Fortnite scheduled downtime lasts about three hours for major updates. You can run Fortnite on integrated graphics and an Intel Core i3 processor at a minimum, though you'll want at least a Core i5 processor, 8GB of RAM and a midrange graphics card for stable performance. Fortnite also works on Mac, but it usually doesn't work as good as on PC. If you want to play Fortnite on phone or smart TV you can do so using Vortex. Want to play Fortnite on PC but your computer is not able to run the game? Let Vortex machines do the work for your hardware and enjoy gaming on any device. I want to play Fortnite on Mac without problems. Just use Vortex app for Mac and enjoy Fortnite and many other games with no problems at all. Google is warning Android users that it doesn't carry Fortnite Battle Royale in the Play Store. But guess what! You can play it on Android using Vortex Cloud Gaming! You can play Fortnite using Vortex Cloud Service on any Android device! Do u need Xbox live to play Fortnite? No, you don’t! You can play on your Pc or on other devices such as mobile or smart TV. Try using Vortex and you will have no problem with that. Can you play Fortnite online? Yes, you can! Fortnite is an online game that you can play when you have access to the Internet. You have to download the game and have a PC or console to play it. Using Vortex there is no download needed. You can play Fortnite online in a browser or on your Android device. Can you play Fortnite on PC? You can play Fprtnite on PC. If you don’t have a gaming PC you can use cloud streaming to run it even on an old computer. Fortnite is a free-to-play game. You can pay money for additional features in a game such as cosmetics, but the gameplay is free to all. Hom much is Fortnite Save The World? This Fortnite mod was free for some time but now you have to pay $39,99 for “founders pack” to play it. Do you need online to play Fortnite? To play Fortnite you need access to the Internet. What are the requirements to play Fortnite on PC? 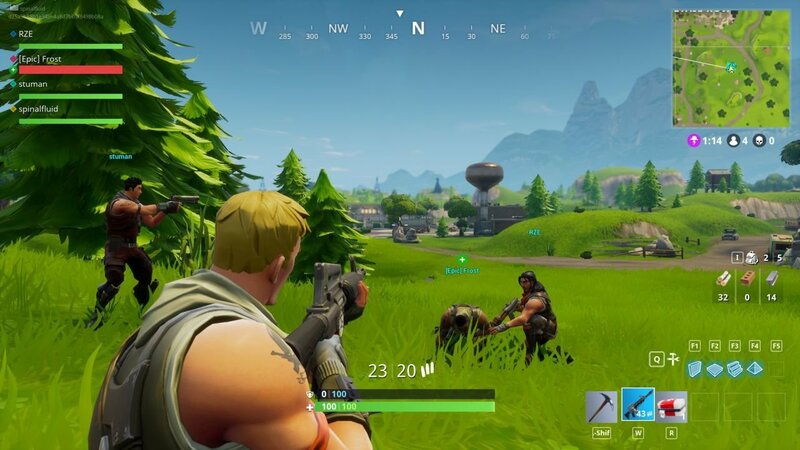 You can run Fortnite on integrated graphics and an Intel Core i3 processor at a minimum, though you'll want at least a Core i5 processor, 8GB of RAM and a midrange graphics card for stable performance. What devices can you play Fortnite on? Using Vortex you can play Fortnite on every device. 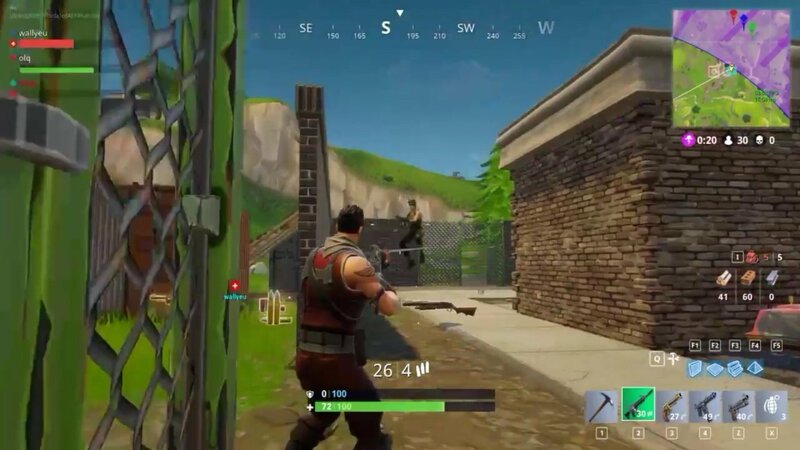 Play Fortnite on old PC, Mac, mobile device or smart TV. How do you add Fortnite to Steam? Hit the “Add a non-steam game” option.